We're hard at work editing and finalizing the amazing 25 or so articles and interviews for the Best of Frankie Tease Magazine Vol. 2. Do us one favor and tell all your friends about the candid and spectacular interviews with today's stage stars who've come through Vegas during July - Dec. of 2012, which will be in the book. What a half year it's been! Here is a couple teaser photos from the multi-part Reverend Horton Heat interview and show review, which will be featured in the new eBook "Best of Frankie Tease Magazine Vol.2". 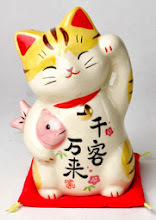 Enjoy, and thanks for your understanding as we scurry to deadline. 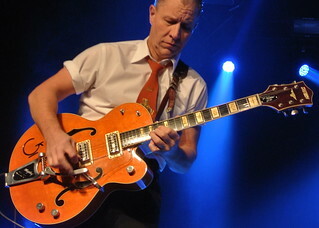 The Reverend Horton Heat is a trio out of Dallas, Texas, that tours through the U.S. constantly. 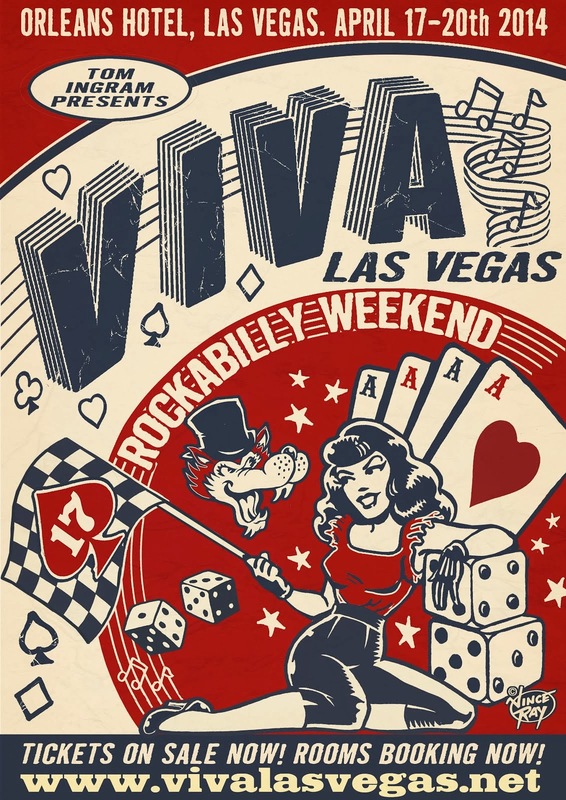 They play all types of music, but mainly Rockabilly. Photo by Frankie Tease. 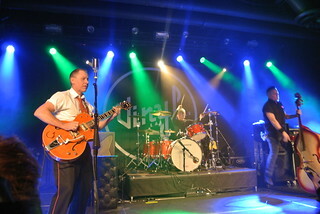 Pictured: L- Jim Heath (aka Reverend Horton Heat), C- Scott Churilla, R- Jimbo Wallace.